April 10, 2019 from OU: . 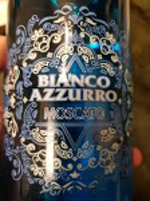 The Orthodox Union certifies Bianco Azzuro Moscato Wine. 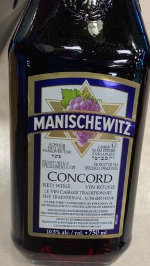 This product is labeled with a plain OU and it is not certified for Passover. Even the bottles that have the letters "OUP" as part of the production code are not certified for Passover. All BVK (even without a "P") on brown or plain sugar is fine for Pesach. URGENT WARNING FOR SENIOR CITIZENS RECEIVING FROZEN MEALS FROM JASA. JASA (Jewish Association Serving the Aging in New York) distributes "Meals On Wheels" to their frozen meal clients enough meals to use for a week. As next week is Pesach, they are distributing 14 meals to allow for the fact that they will not be coming over Pesach. Since they deliver on Tuesdays to some, they sent 14 meals, planning that the last three meals are to be eaten after Pesach. The only problem is that these 14 meals meals are chometz, bread included. Recipients must be apprised that the meals are chometz and that they should be disposed of or sold to a non-Jew prior to the start of Pesach. No advisory to this effect is being sent by JASA or by the caterer who prepares the meals. April 8, 2019 from OU: . The Orthodox Union certified a special Passover production of Sonny & Joe's Tahini Dip which is a kitniot product. These containers are labeled with an OU sticker that states "approved for those who eat kitniot on Passover". Some of the Passover Tahini Dip containers were mistakenly labeled with a plain OU P Kosher for Passover sticker, without specifying that the product is kitniot. Corrective actions are being implemented. April 3, 2019 from OU: . Some year-round OU- certified products may have Passover certification from an agency other than the OU. Please note that the OU does not stand behind the Passover certification from other agencies, and it may not meet the OU’s standards. OU Passover certification may have OU-P or Kosher for Passover ink-jetted on the Year-round version of the product. In addition, OUP or OU Kosher for Passover stickers are only authorized when they bear the company or the brand name of the product. 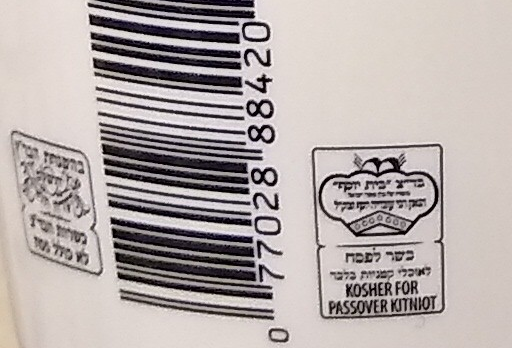 Stores or distributors have been known to place Kosher for Passover stickers on products which were not manufactured with Passover standards. April 2, 2019 from COR Detroit: . Multiple Certifications: Some brands, e.g. Osem, do not bear the same certification on all of their products. Each product should be checked for a reliable certification. - In addition, some brands, especially those from Israel, bear more than one certification on a single package, but not all those certifications include approval for Pesach. In particular, the Badatz of Eida Hachareidissymbol often states specifically that its endorsement does not include Pesach. All products should be carefully examined for a reliable Pesach endorsement. - Some products bear a non-Pesach certification printed on the label, and have an added stamp (often on the lid) saying Kosher for Pesach, but with no identification of the certifying organization. These should not be relied upon. ARTÍCULOS AUTORIZADOS PARA PESAJ 5779 Nos permitimos informar con respecto a la sal y azúcar para Pesaj: - De manera general, la sal en México contiene kitniot, incluso si no contiene yodo. Esto incluye la sal que se produjo en años anteriores. Generally, salt in Mexico contains kitniot , even if it does not contain iodine. This includes the salt that occurred in previous years. Buying in bags does not solve this problem. The kehile have salt without Kitniot available in the store in Ramat Shalom . Companies that need large quantities, contact Kosher Quality Supervisors directly to obtain salt that does not have kitniot . With regard to sugar , in general also has Kitniot, even in commercial sizes. This can be solved by buying in sacks or buying the Cucurumbe brand . Copyright © kashrut.com. Permission is granted to reprint these alerts if kashrut.com is credited as the source of the information.